Enjoy a delicious meal at Indulge at Park, or an excellent aperitif before your meal. Drinks in the lobby bar with soft music will definitely whet your appetite. Whether you would you like to treat yourself to fresh baked pastries; or share your sweet moments, there is a wide range of desserts available. Our dessert team produces sweet cakes and delicious biscuits; our chef's cheesecake series is so popular it should not be missed. Indulge at Park is a gourmet restaurant in Wuxi, China, offering a unique range of authentic regional or international specialities, giving you a unique dining experience. 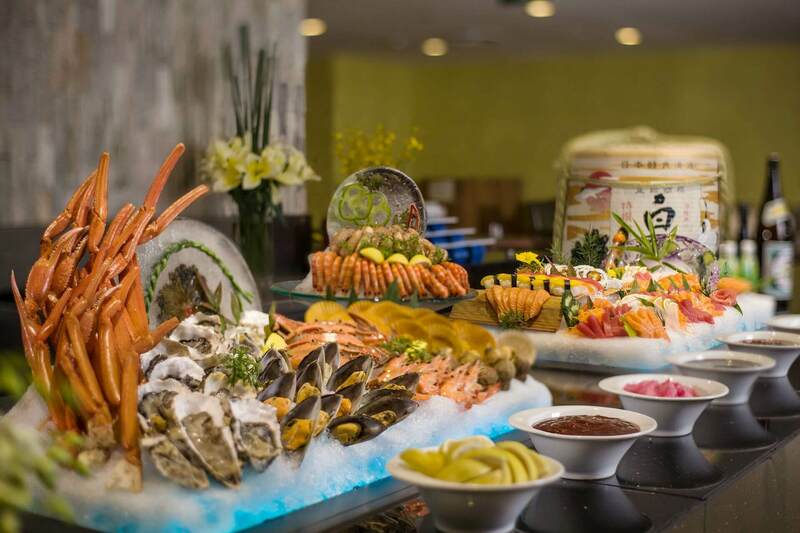 There is a wide variety of buffet dishes, in addition to South-east Asia and international cuisine, as well as iced seafood. Indulge at Park is the perfect venue for dates, family dinners and business meetings.